China is engaged in what increasingly resembles crimes against humanity in Xinjiang. This includes the mass internment of one million Uyghur, Kazakh, and other Muslim minorities, forced labour, torture, and efforts to destroy their unique cultural identity. Such abhorrent practices must be denounced and denied a place in the next wave of globalization at Davos. This year, the focus at Davos, stated on its website, is “shaping a new architecture for the next wave of globalization,” in which “leaders need to learn from past mistakes and build more inclusive societies and better protect vulnerable communities.” But a failure to denounce China’s policies in Xinjiang is to invite the atrocities of the past a place in the future. File photo posted by the Xinjiang Judicial Administration to its WeChat account, April 2017, showing detainees at a camp in Lop county, Hotan prefecture, Xinjiang. Photo: RFA, Oct. 2, 2018; cf. WaybackMachine Internet Archive, April 17, 2017. 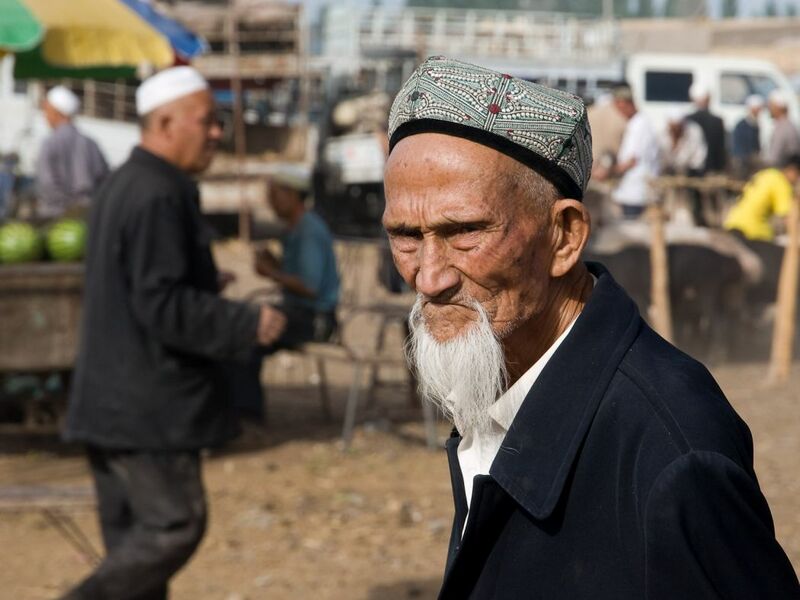 In August, the United Nations Committee on the Elimination of Racial Discrimination cited multiple credible reports of the internment of some one million Uyghurs across Xinjiang, roughly ten percent of the entire Uyghur population. Children have not been spared. For thousands whose parents have been taken, children from 4 to 14 are forced into children’s camps. Meanwhile, so-called “becoming family” policies force Uyghur families to accept officials into their homes. 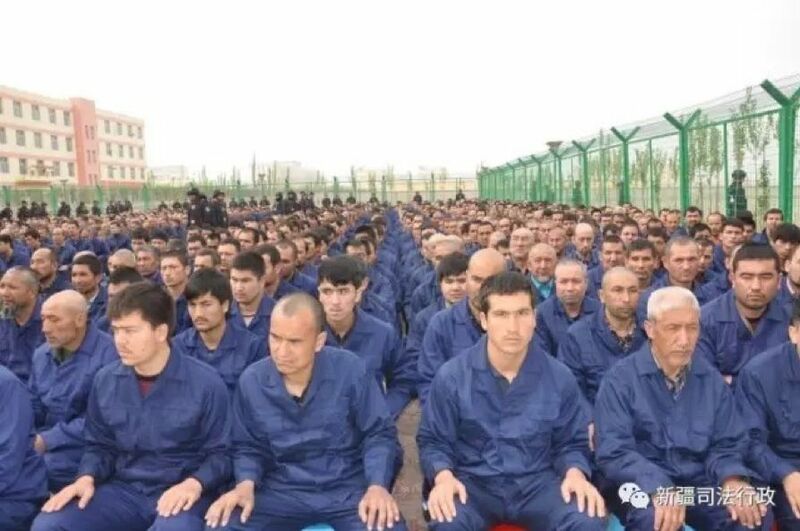 At the end of 2018, the Chinese Government reported over one million cadre had been sent into Uyghur households. Imagine having family members disappeared and then being forced to welcome their abductors into your home. Late last year the U.S. Congressional Executive Commission on China stated the mass internment of Uyghurs and other Muslim minorities may constitute crimes against humanity. Since December, mounting evidence of forced labour at these camps has emerged. Family members have reported how relatives in camps have been made to work in textile factories with little or no pay and not allowed to leave. In another case, a group of Kazakh women reported being forced back into a camp after refusing to work at 20 percent of the average factory wage. Following these reports, earlier this month U.S. company Badger Sportswear announced it was dropping Hetian Taida, a supplier linked to forced labour, and stopping all sourcing from Xinjiang. Forced labour, and the conditions that permit it, must be rejected at Davos, and other international companies must end sourcing from Xinjiang. Forced labour, a “modern form of slavery,” is prohibited under international law. However, China has a long history of such abuses, notably in the “re-education through labour” system just formally abolished in 2013. Now it appears resurgent in Xinjiang, only rather than focusing on political dissidents, as before, the targets are ethnic and religious minorities. What started a number of years ago with the banning of Uyghur women with head scarves and men with long beards from riding buses in parts of Xinjiang and forbidding Uyghur civil servants and students from fasting during Ramadan has metastasised into widespread religious and cultural persecution. At the start of this year China announced a new five-year plan to “sinicize” Islam, and Uyghur language has been all but criminalized in lieu of Mandarin Chinese. 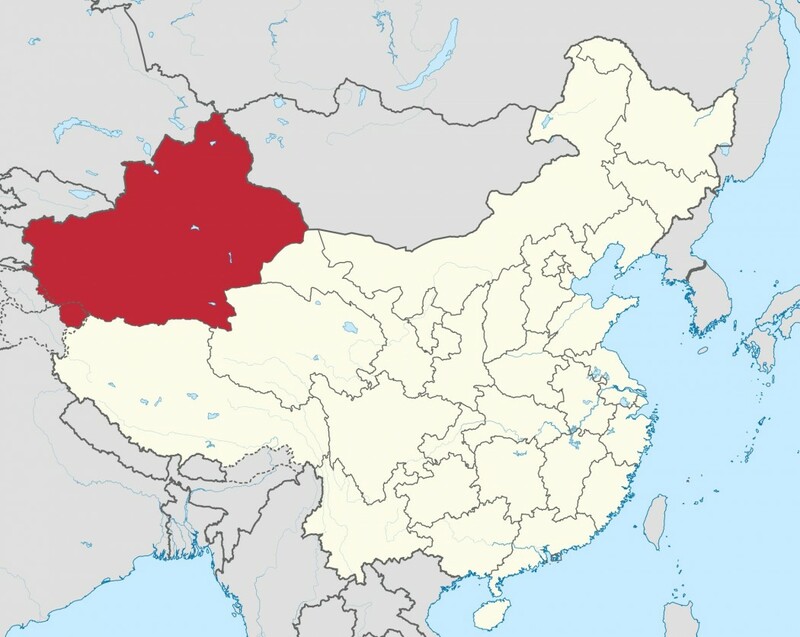 Despite China’s own Constitution providing national minorities with the freedom to use their own languages, officials in Xinjiang have labelled speaking the Uyghur language, even in the privacy of one’s home, unpatriotic, which can result in internment. This assault on Uyghur culture is systematic, from the criminalization of religion and language to the disappearance of scholars and community leaders. Uyghur man. File photo: Wikicommons. 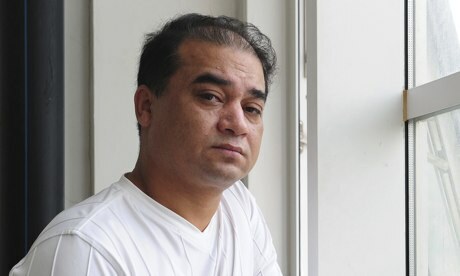 In 2014, Uyghur economist and high-profile rights defender Ilham Tohti was sentenced to life in prison on spurious separatism charges. I remember the first time I met him in 2011, on the campus of his university, and like for many others his conviction was shocking. But this past year, over 100 Uyghur scholars, scientists, historians, poets, and artists, have disappeared across the region. The arbitrary detention of so many guardians of tradition raises the spectre of cultural genocide. The stated objective to include the “cultural dimensions of global issues” this year at Davos demands that the systematic assault on Uyghur and other Muslim minority culture be denounced. 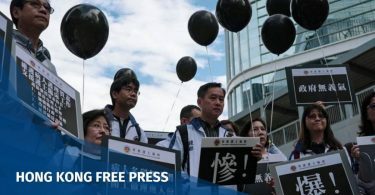 That China has engaged in such dark pageantry to obscure its crimes is a sign that international pressure is slowly working but it must increase, and at every opportunity. The World Economic Forum at Davos claims it is unique because it is the “only yearly gathering that brings together leaders of global society,” but if it is to demonstrate leadership it must take a stand now. This week at Davos, leadership means denouncing China’s crimes in Xinjiang and denying them a place in the next wave of globalization.